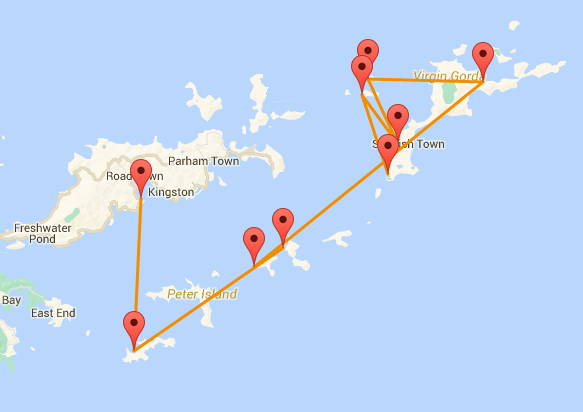 Cabin for two – AquaNation Inc. If you are seeking the ultimate sailing catamaran available in the BVI, then book the new Lagoon 450. The steering station on the fly bridge provides perfect visibility and direct access from both sides of the cockpit ensures your safety. Enjoy a large sunbathing area directly forward of the fly bridge – a perfect place to soak up the rays. 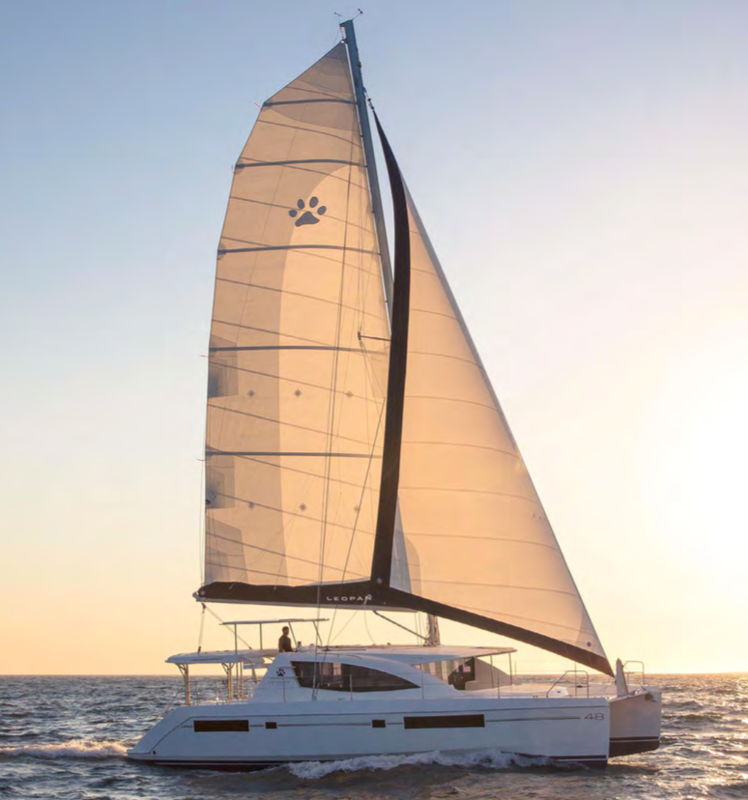 The spacious aft cockpit with dining area to port, is shaded by the hard top bimini while an opening hatch provides ample ventilation. Open the sliding window and cockpit doors and the cockpit and saloon become one large open area perfect for entertaining family & friends. This boat is fully air-conditioned with generator. 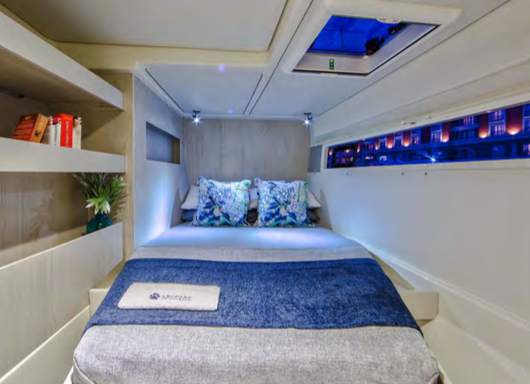 The saloon and cabins of this new catamaran are well illuminated with high headroom. 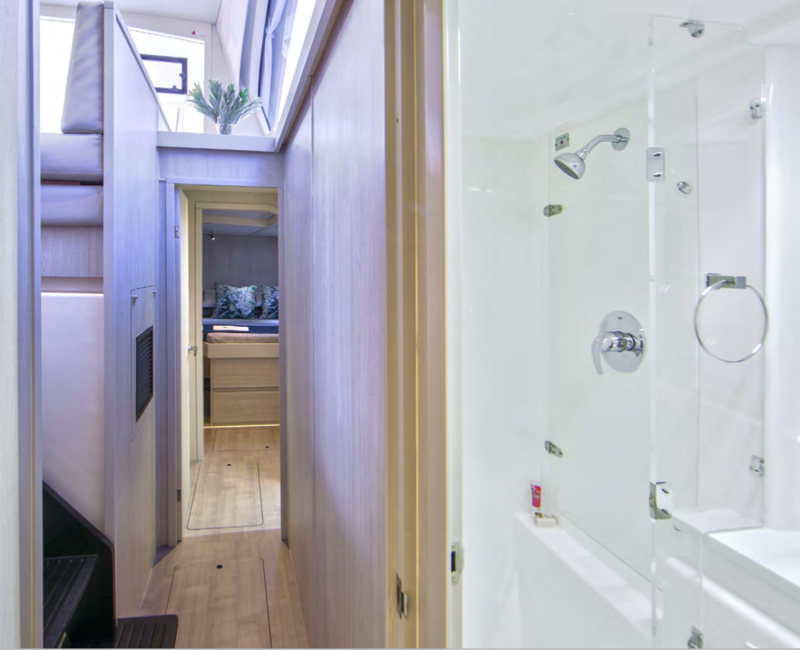 All beds in the cabins are queen size and the ensuite heads have quiet flush electric toilets and separate shower. 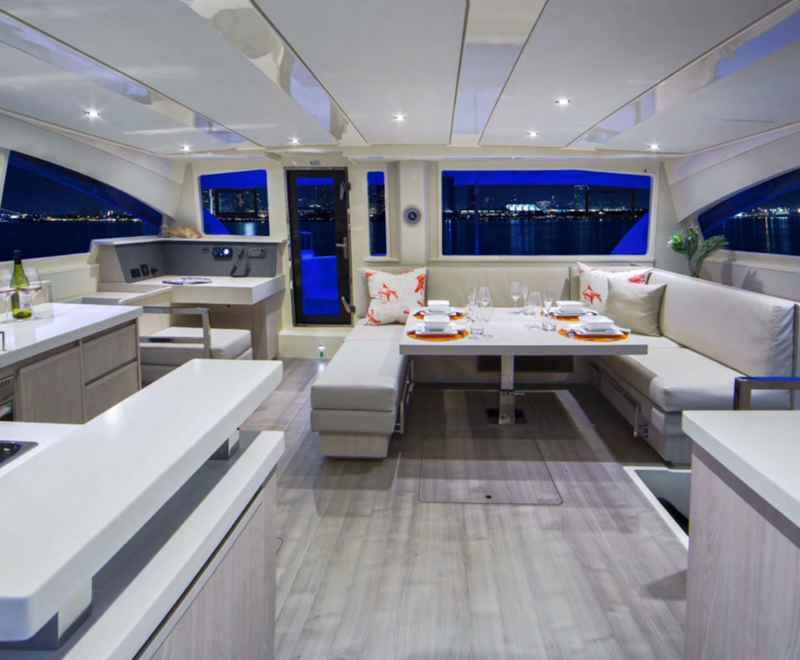 The galley is U-shaped for greater comfort when sailing on your charter and is located between the cockpit and saloon at the same level. Equipped with refrigerator and ample storage and counter space, the galley makes meal preparation a breeze. 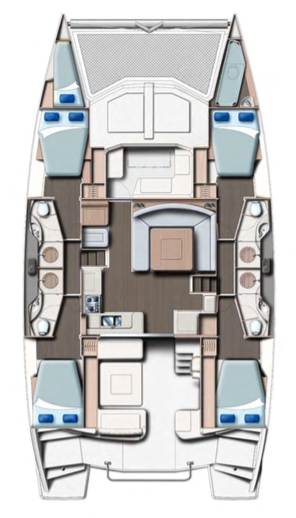 The saloon table converts to an extra bed and two skipper cabins are located forward. The new Lagoon 450 can accommodate up to 12 guests on charter. 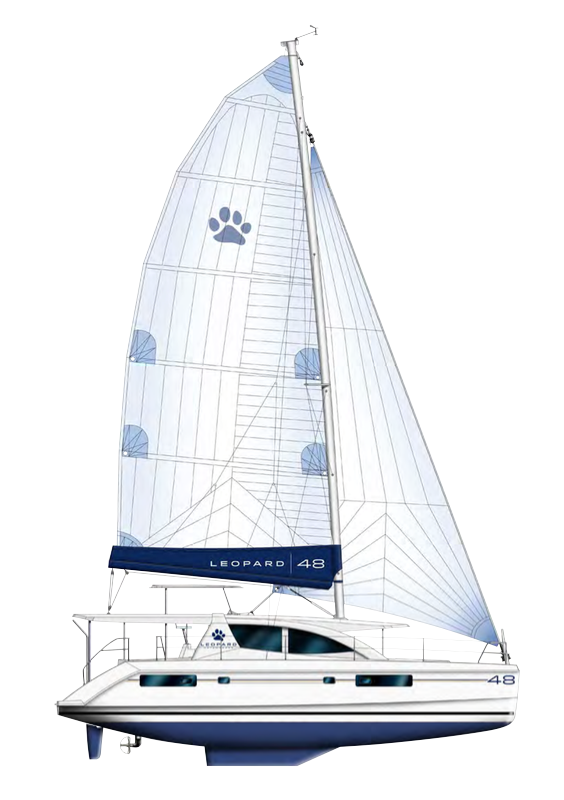 Designed to be quiet under power, the engine compartments are remote from the living areas and well insulated. 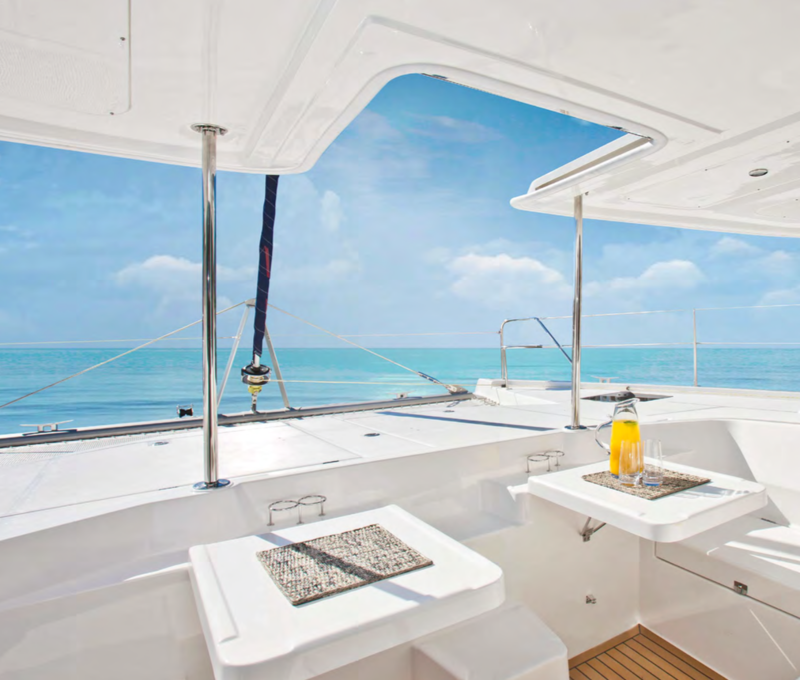 Large transom platforms make coming aboard or accessing the dinghy easy. 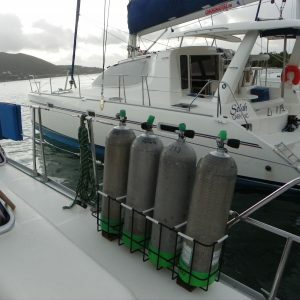 Lots of equipment onboard provides for greater comfort and she is fully equipped for long distance cruising! Copyright © 2019 – AquaNation, Inc.